Looking for something original to do this weekend? Tomorrow, Saturday, April 5 is International Pillow Fight Day. It’s exactly what it sounds like: a whole bunch of people get together in one place and battle with pillows. From Seattle to Seoul, cities across the globe organize this quirky event. In any case, you know I love random events. I participated in a flash mob pillow fight years ago in New York and had a ton of fun. Check out the website to see if there’s one happening near you. Meeting point in Paris is Place de la République at 3 PM. If you’re looking for something more civilized, the American Library of Paris is organizing a literary flash mob next Saturday, April 12 at 5:30 PM. Participants are asked to bring a book to the Eiffel Tower, spread out on the Champs de Mars, and at the appointed time strike a reading pose and freeze for 3 minutes. They’ll be filming, so get ready to look the part of literary star. For more details, check out the Paris Book Mob page on the ALP’s website. (The freeze flash mob in Grand Central station that inspired ALP is pretty cool, too). Have a great weekend! And let me know if you get up to any hijinks! 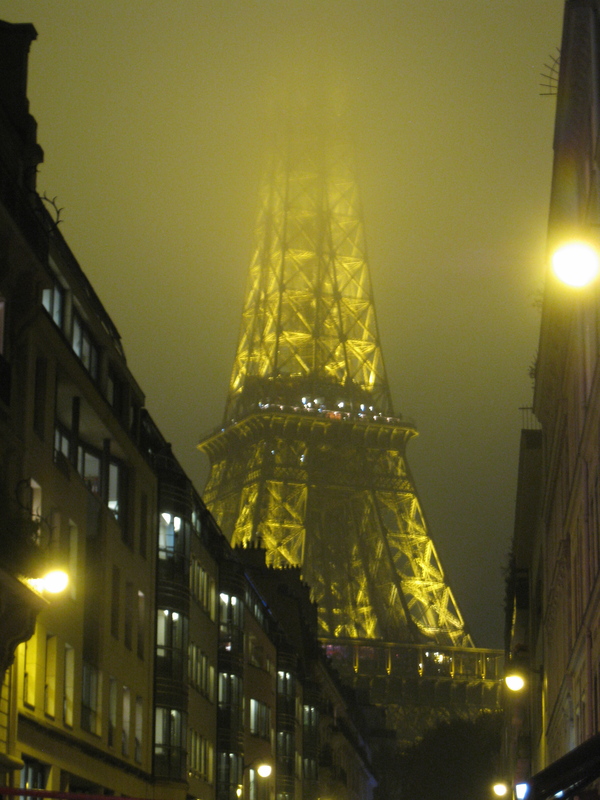 Between my writing residency and road trip, I’ve been away from Paris for some time. I’ve gotten caught up in other worlds, but the city’s on my mind. “April in Paris” is one of those phrases that instantly evokes a certain nostalgia. A mood set in three simple words. (Listen to Ella & Louis do their rendition of the song). I’ll be interested to return to Paris this month (though I’m not rushing my sojourn in Guadeloupe. Bravo to those who figured out my current location from the last post’s clues!). Distance is always great for allowing us to see places we know with fresh eyes. I wonder, too, if Paris – and France – have some new changes in store. After two rounds of voting, Paris elected its first-ever female mayor, Anne Hidalgo. (Most of France moved to the right politically in the recent municipal elections, but as Paris is so often an exception, the Socialist candidate prevailed there).